You know how it is, you wait 10 years for a decent film about maths and then two come along at once. Showing at the cinema at the moment are Interstellar (a Hollywood big budget sci-fi affair, starring Matthew McConaughey and Anne Hathaway) and The Imitation Game (a more thoughtful and moving account of Alan Turing's life and work, starring Benedict Cumberbatch). In Interstellar, the crew of a spaceship search for a wormhole near Saturn in an attempt to find a planet suitable for human habitation, with planet Earth become distinctly unfriendly for humans. Interstellar takes on board some of the more remarkable aspects of relativity and deals with them in a surprising, but mathematically correct, way. Ultimately, humanity is saved by the solving of the "Gravity Problem", and it all boils down to a mathematician solving one equation, so the film loses marks on this somewhat facile point. 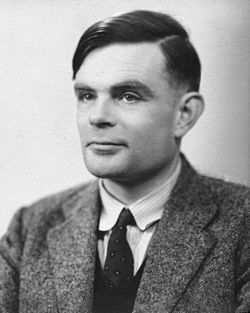 The Imitation Game is an excellent dramatisation of Turing's life, but does contain some quite extreme, some might say inexcusable, artistic licence. His character slips too easily into the ready cliché of being work-obsessed and unable to communicate. And the veracity of the story is dubious in places, such as Turing's being in the clutch of a Soviet spy. But if the film's appeal means that more people are made aware of his extraordinary life and work and the beautiful potential of mathematics, then its filming can only be a good thing for mathematics education. Maths exams will become more "rigorous". The UK Government is planning to delay the changes to A-Level mathematics and further mathematics that were to be introduced with first teaching in September 2016. The delay of one year comes amid concerns that pupils will not be sufficiently prepared for the new exam. Following advice from the exams regulator Ofqual, teaching will now start in 2017, with the first exams for the new A-Level taking place in June 2019. Ofqual said the delay would mean that students on the new courses would have taken the new maths GCSE being introduced in 2015, and would therefore be better prepared for the new A-Level. It will also allow more time for schools to prepare for teaching the new AS- and A-Levels. At the same time as changes in the content, the structure of A-levels is being overhauled and many schools are struggling with these planned changes. From September 2015 AS-Levels are being separated from A-Levels, which will become two-year courses, with grades decided solely by a final exam. The changes, devised by the previous education secretary Michael Gove, are one part of a drive to make the exam system more rigorous. However, some universities have said they want schools to continue with AS-levels. Cambridge University has said that AS-Levels are vital to the university selection process and has written to schools asking them to continue with AS-levels. Teaching unions, including the National Association of Head Teachers, have welcomed the delay, citing the extra time for schools to prepare as a key factor. The Labour Party have said that if they come to power, they will reverse the decision to decouple the AS from the A-Level. However, the practicalities of this are fraught with difficulty, with the newly decoupled AS-Level due to be taught only 4 months after May's general election.